The most important job as a parent is helping direct our child’s heart toward God and the awareness of His love for them. From the very beginning, even in the infant and toddler ages, we are helping establish a foundation for their spiritual development. We start them on this path of spiritual development that will lead them down a course of the basic awareness of a God who created them, loves them, protects them, has a purpose for them, desires a relationship with them, wants to be glorified through them, and commands them to live in a manner that draws others to God because of them. When these steps of spiritual development are in place from the very early stages, we are setting our children on a path of spiritual development that can be carried out through life, as the basis of who they are and what they believe at the very core of who they are. 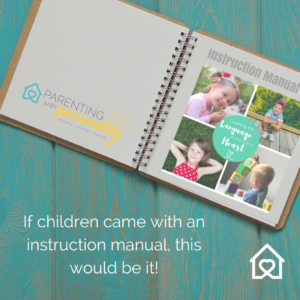 As a preschool child begins to develop more communication skills, we begin to initiate those discussions about loving and worshiping God and the idea of asking Jesus into your heart. These early thoughts about spiritual development may be surprisingly simple and even repetitive as we answer the many why questions that accompany the age. As the school-age child begins to choose their activities, we begin to introduce the idea of spending time with God, reading your Bible, praying, and worshiping. It is also a key age that we start helping them understand how our actions, thoughts, and words can both honor and dishonor God. Making these connections helps them understand that serving and loving God is part of our decision-making process in everyday life. 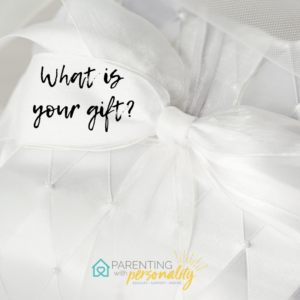 When our children start developing a greater sense of their personal traits, we can begin to introduce the idea of gifts and talents. In this way we begin to paint the bigger picture of a God who created them with a purpose and plan to glorify Him and how He equipped them for a bigger plan. By having a spiritual foundation in place, they begin to understand the relationship aspect of their spiritual walk and how God is central to the path they choose in life. Our children range in age from tiny to teen to twenty-something. We have parented for 22 years and have another 15 years of a child being in our home. 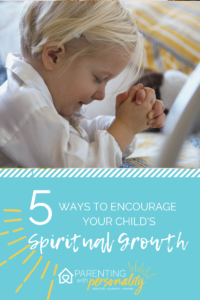 I would love to share some of the ways that we have been able to focus on the spiritual development of our children spanning the different ages and stages. 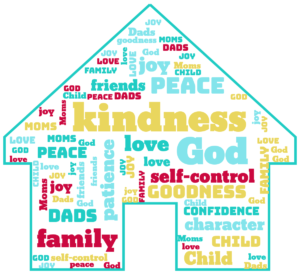 The following are five key ways that we encourage the development of a real relationship between our child and God. 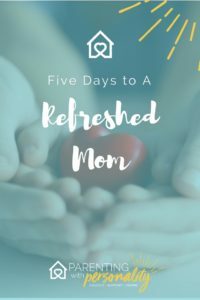 From the time our kids start reading, we encourage them to have Jesus Time (which is what Mom has called her devotion time since they were just little ones). 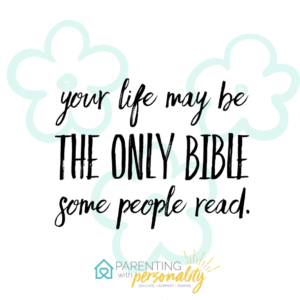 During the summer, we have time each morning that the littles can look at or read their Bible or ask a sibling or parent to read the Bible to them. We may also choose to turn on Praise and Worship music or Bible songs and just listen quietly. As they get a little older, they are offered the chance to stay up fifteen minutes later if they’d like to do their devotion time. What kid doesn’t want a little later bedtime! A win-win for sure! 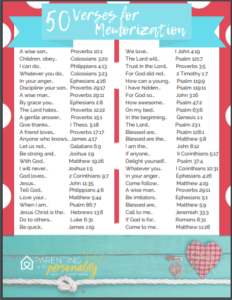 We keep track of each child’s spiritual birthday, the day they choose to pray and ask Jesus into their heart. 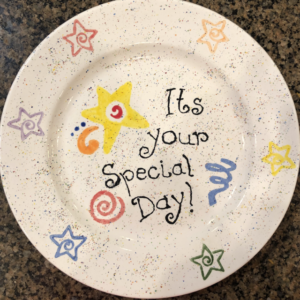 We try to celebrate those with the special day plate, letting them choose a special meal, or the next restaurant we choose for a meal out together as a family. In this way, the younger children look forward to having their own spiritual birthdays and remembering the significance to the family and God. Every child starts gaining an idea of what they are good at, but some need reassurance or understanding of how those traits are useful or effective. Click & Tweet! 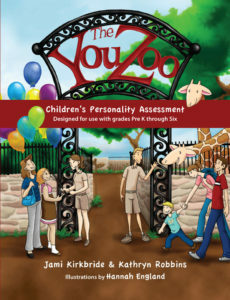 Affirm your child in the gifts and traits that you see God has given them. 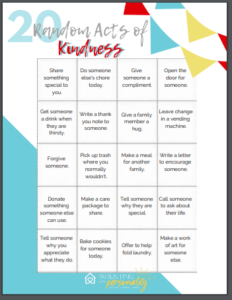 Help them understand how those gifts or skills help lead us in life choices, career choices, and how we serve and give. Impart to them an understanding of how those traits are part of bringing God glory, which is the whole reason we are put on the Earth! “No! I want Jesus in my heart. Today!” He was adamant. And together we talked about what it meant to ask Jesus into your heart, discussed how we honor and love God, and how God gave His Son to die for us. Never underestimate how even the little things, such as Bible songs playing in the background as they play, may be those very seeds that spur more growth and understanding at their level. So with great joy, I can now say that the last of our seven kids has asked Jesus into his heart. And I must admit that of all the things I’ve done in the last 40 some years, praying with each of them as they begin their personal walk with God has been my greatest joy. 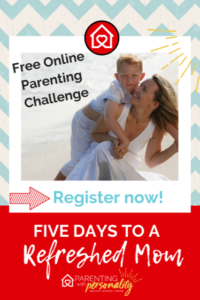 “I have no greater joy than to hear my children walking in truth.” Now, the journey to guiding his heart and training him in God’s ways takes an exciting turn! Hearing the older children pray for their younger siblings to accept Jesus and the celebration as each one finally did is unforgettable. Let me encourage you to set the foundation for a strong spiritual development for your child. 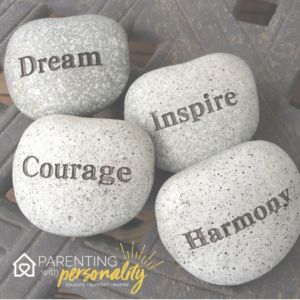 Let me also affirm the importance of nurturing that development so that as your child ventures out in life apart from you they are firm in their foundation and desire for an ongoing relationship that is uniquely their own. and understand. Many of these verses are used in training and discipline as well. I would love to help you this coming year to step into that role and be intentional in how you connect with them. Showing them your love is important. Pointing them to God’s love might prove to be even more important! I’m here to help encourage and support you in the process! P.S. 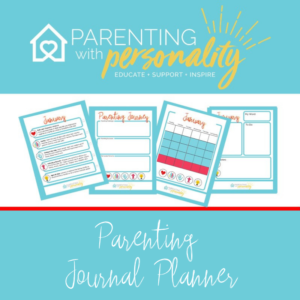 Don’t forget the blog articles relate to the themes presented in each month of the Parenting Planner! If you haven’t downloaded the free concise version, you can do that here. 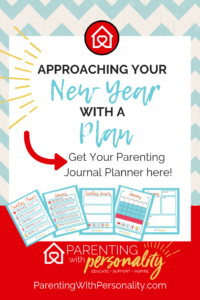 And if you’d like the expanded Parenting Journal Planner, you can purchase that here. Also, don’t forget to sign up for notifications for the upcoming Challenge! Read more about it here.